I met Andy Myers at a time travel conference we were both attending in August 2010 in Albuquerque, New Mexico, where we had great conversations each morning at breakfast before the conference discussions began. I love meeting people at conferences where it’s clear from the start that we have shared interests, since often it turns out that we have many shared interests–and this was definitely true of me and Andy. I’m so glad that I’ve stayed in touch with Andy these past four years, since I got to be one of the first to read his new book, Flying Paint Rollers from Heaven, and to interview him! CYNTHIA: First of all, I want to thank you for writing such a wonderful book that I am certain will help a great number of people seeking answers to questions that most people tend to feel a bit too embarrassed to ask, even if they knew who they could trust to answer these sorts of questions. I love how your new book, Flying Paint Rollers from Heaven, is so soothingly down-to-Earth and matter-of-fact about subjects that could otherwise seem unsettling if not outright scary otherwise. What was your initial inspiration for writing this book? ANDY: My reason for writing this book is very simple. It’s my life purpose to help and inspire others. I hope my book provides easy-to-read answers to those seemingly unanswerable questions that keep us up at night. People are naturally curious and have lots of questions, which is why I wrote my book in a question-answer format. Personally, I enjoy reading a wide array of deep, spiritual and metaphysical books, but I also love to laugh. I intentionally wrote Flying Paint Rollers from Heaven in a lighthearted manner. It’s sure to evoke strong emotions, including humor! CYNTHIA: Your book is immediately accessible, and really does feel like the reader is sitting across the breakfast table from you, chatting and asking questions, and enjoying your company. I really love that aspect of the book, because I’ve had the pleasure of your company at the breakfast table when we were both attending a Language of Spirit conference a few years back! You have such a delightfully relaxed and easy attitude about delving into the spiritual world. What (or who) would you credit this to? ANDY: It’s funny you say my book reads like a conversation around a breakfast table. While writing it, that’s exactly what I imagined. Although the content of my book is of a deep, spiritual nature, it’s merely a casual dialogue with the reader. My relaxed and curious attitude about metaphysical phenomena stems back to my Grandma Myers. When she was alive, she fostered my interest in the unknown, and always encouraged me to be a truth-seeker. I always feel her with me in spirit when engaged in a thought-provoking discussion. CYNTHIA: There is such a delightful sense of genuine dialogue with the reader you establish in this book, and I’m so glad to hear that much of your inspiration came from someone you clearly love and respect so much, your Grandma Myers. I had a similarly close relationship with my mother’s mother, and I’d love to know if looking back on things she showed you and talked about with you growing up take on a deeper sense of meaning now that you’re so clearly living the life of truth-seeker and truth-teller? ANDY: Yes, I wish I could go back in time and act as a fly on the wall to observe some of the things my grandma told me. Her life experiences were always so fascinating, and she was such a good story-teller. I tried to make Grandma proud in writing my book, as I put a lot of emphasis on telling a good story. All the accounts documented in my book are true events I’ve witnessed. I’ve learned first hand (and my grandma would agree,) that reality can truly be stranger than fiction. Living a life with one foot in the spirit world is a good way to ensure you’ll always encounter plenty of interesting occurrences. CYNTHIA: Would you share one of the interesting events you’ve witnessed? ANDY: Oh boy, where do I begin? Last year, my wife and I came home from a date night, and were frozen in our tracks as we noticed something odd. Our kitchen table had mysteriously been moved three to four feet, and was practically resting in our living room! We could have dismissed it as an accident, and assumed our dog had bumped into the table. However, all four chairs were neatly pushed back into the table, as if a spirit visitor intentionally moved it across the room and had the courtesy to push in the chairs. There’s never a dull moment in the Myers household, but luckily our paranormal experiences are always humorous and whimsical. They’re never scary. CYNTHIA: I’ve heard of table-tipping (mentioned in my April 2013 interview with author Pamela Heath), but table relocation is a new one for me! Do you sometimes find there is meaning or significance in some of these odd events? ANDY: Yes, I believe there is significance in some of these odd events. Often times, these attention-grabbing occurrences act as a little “hello” from our loved ones in Heaven, or even our spirit guides. In other situations, I’ve felt the presence of angels as they intervened to keep me safe from harm. Then again, angels are everywhere. Cynthia, I’m sure you would agree with me that human beings can often act as angels in disguise. God works in mysterious ways. CYNTHIA: I often find significance in these events as well, often as a kind of a “Hello, there!” kind of wake-up call to be more attentive. One of the things I love so much about you and your book is how your sense of faith and love and that everything is just fine comes right through every sentence and page! How have you gained and deepened your faith in God? ANDY: As I’m sure you would agree, Cynthia, “faith” means different things to different people. I have always believed in a higher power, and my connection with God has always been a personal one. I often pray, and when I speak to God, I talk as if I’m conversing with my best friend. I know that not every prayer can be answered, but it never hurts to put a request in God’s “inbox.” Like others, my faith has gotten me through some pretty tough times. But I also enjoy seeing God in the little things. I see God in the loyalty of my dog, in the vibrant colors of a sunset, and I hear God through inspirational music. These seemingly insignificant parts of life deepen my faith in God every single day. CYNTHIA: I also find miraculous beauty and inspiration in the “little things,” and the immeasurable things, like heartfelt connections to loved ones and nature. I get a sense from reading your book that you truly love sharing spiritual and intuitive insights with people in ways that help them feel less afraid of and more comfortable about topics such as angels and ghosts. What general advice would you offer someone who wishes they could be more certain that, for example, their loved ones who’ve passed away can hear what they’re saying? ANDY: Well, think of it this way. Most of us humans can hear each other and communicate, even though we may not be able to see one another. We do this through e-mail, text messages, and phone calls. I often say that whenever you talk to a loved one in Heaven, they instantly receive a “spiritual text message.” They stop what they’re doing, and tune in to what you’re saying. They’ll find creative and unique ways to communicate back with you, as long as you’re open-minded. In my book, I provide plenty of examples of how those in Heaven speak to us on a daily basis. 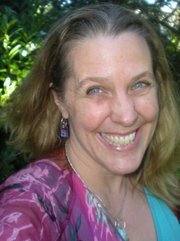 CYNTHIA: As an intuitive person myself, I truly appreciate how you encourage readers to keep an open mind to signs, messages, and signals that can come through in a variety of ways. I’m able to receive direct communications as clearly as if my deceased loved one is sitting right next to me and telling me something in their familiar tone of voice and choice of words… but I know many people feel frustrated that though they may sense a presence, no clear message comes through. Would you be willing to share a tip or suggestion for those who feel like they’re carrying on one-sided conversations, and wish they could get some kind of real communication from their loved ones who’ve passed on? ANDY: Cynthia, from one intuitive to another, I have to say that your genuine nature and bubbly spirit are easy to see. I know you are a tremendously gifted (and busy) person, so I want to pause here and thank you for your time in conducting this interview. I agree with you that some people feel frustration when they can’t directly “hear” messages from their loved ones in Heaven. I would have two pieces of advice for these individuals. First of all, remember that there are many modes of communication between you and those in Heaven. Messages can be heard, seen, smelled, felt, and even delivered through your nightly dreams. Secondly, have patience. An uplifting sign from a deceased family member may come ten years after their death, but in Heaven, ten years may only seem like a few days to them. Have faith that in time, you’ll get your message. We all do. CYNTHIA: Thanks, Andy! Yes, my life can get busy, and when it does, I do my best to remember to slow down and simplify. Ironically, it seems when we feel the busiest is when we most need the reminders to stay focused on what matters most. One thing I’ve noticed can help us stay on track is being mindful of good selections of books and movies when we have some rest and relaxation time. I’d love to know if you have any favorite books or movies that are special favorites of yours that you’d recommend? ANDY: I LOVE movies! A guilty pleasure of mine is sneaking off to an afternoon movie on weekdays, when theaters are practically empty. As far as movies, I like anything that involves the big picture. You know, films that really make us question our place in the universe. I like the movies Contact, K-Pax, The Day The Earth Stood Still, and the classic, Close Encounters of the Third Kind. Of course, comedies are also good at the end of a long day. Regarding my favorite books, I’d have to say Conversations with God by Neal Donald Walsch. It’s my all time favorite. I also like any books written by Robert Fulghum. He has a knack for making common life events humorous and inspirational. CYNTHIA: I feel truly honored to have interviewed you, and I’m really grateful for all the tips and insights you’ve shared! How can people find out more about where they can learn more about your new book and how they can stay in touch with you? ANDY: It’s been a pleasure having this dialogue with you, Cynthia. Please keep up the good work, as this world desperately needs your services and positive energy. People can learn more about my book on my website: www.AndyMyersOnline.com I love to stay in touch with my clients through social media. You can find me on Facebook under “Psychic Medium Andy Myers” and on Twitter: @AndysIntuition. Thanks again Cynthia. God bless. CYNTHIA: Thanks ever so much–you’ve been a true joy and delight to interview! Great smile and love the humor!